Why would a chiropractor be concerned about depression screenings when you aren’t trained to be a mental health provider? The answer lies in patient outcomes. Many quality care organizations recommend depression screenings for patients with a chronic condition. According to The National Institute of Mental Health, “People with other chronic medical conditions have a higher risk of depression.” This is because depression can not only make a chronic condition worse, but it also can be triggered by illness-related anxiety and stress. Because depression affects how a person manages their health condition, not addressing depression when dealing with a chronic condition can have a negative effect on patient outcomes. There is a high probability that any person with a chronic pain syndrome has a concomitant psychological disorder, most notably depression and/or anxiety. The relationship between chronic pain and depression/anxiety is well established. The causal arrow between pain and these disorders can point in either direction and over time may form a positive feedback loop between these two elements. Screening tools are available that will aid in the detection of potential depression/anxiety, and when indicated, a referral may be most appropriate for more extensive evaluation and treatment. In addition, lesser psychological factors such as catastrophizing and fear avoidance behavior may interfere with a patient’s recovery and should be recognized by the clinician. Recognizing indicators of patient psychosocial health behavioral factors can affect a patient’s recovery and/or compliance with treatment and may decrease the risk of developing chronic illness/pain. Tools such as StarTBack 9 screening tool, PHQ-9 depression scale and the Fear Avoidance Belief Questionnaire are examples. Caution: Be careful using code G0444 since that is for an annual screening and Medicare will only cover it when performed by a primary care provider. There are also other payers who cover G0444 (e.g., Aetna, Cigna), so be sure to review individual payer policies to see if doctors of chiropractic are allowed to bill that code. Since the most common situation in a chiropractic setting would be treating a patient for chronic pain (e.g., low back pain), this is not the most applicable code choice. Results of the screening. Some payers may want to see the member’s responses in addition to the score so be sure to keep the responses in case the payer requests that information. Impression/plan. If the screening is positive, there needs to be documentation of the planned treatment and/or referral to mental health services. As part of the plan, be sure to include the follow-up plan. How do you plan on checking back to make sure that they have met with a behavioral health care provider? CPT guidelines state that neither 96161 nor 96127 can be billed with E/M services. NCCI edits disallow all three codes when billed with E/M services as they are considered part of (bundled) the E/M service. 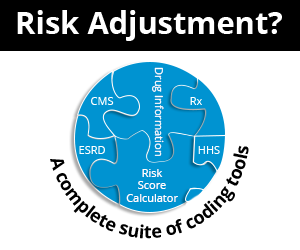 Also note that like many preventative services, most payers do not require a specific ICD-10-CM code to be reported with any of these codes.